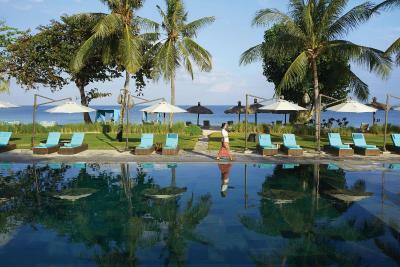 Lock in a great price for Belmond Jimbaran Puri – rated 9.1 by recent guests! Breakfast was unbelievable, was shocked at how incredible the complimentary breakfast was. Hotel was a trip unlike many others, very different from a typical resort. The trip felt like an experience rather than a vacation. Loved it! The location is amazing, just right on the beach. We had lunch and dinner every night, and were impressed by the Chef’s skills and by the quality of food. Once we tried another restaurant outside, but decided that we couldn’t find anything better. Imagine your feet are on sand, no strangers around, light breeze and life music, and tasty food... We also enjoyed our 2-bedroom villa. It consisted from two separate buildings. 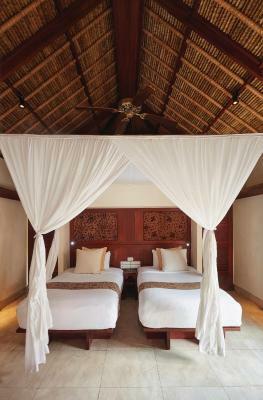 My husband and I had some privacy since our three children stayed in another villa close to our villa. Our 8yo son loved the pool and spent hours there. The staff was very polite and well performing. The hotel exceeded our expectations being not big and touristy and up to 5 star level in every sense. We felt private and enjoyed every minute there. The Belmond is right next to all the beach seafood restaurants, and they offer their dinner as well in a very stylish manner. If you have time, try both! Top Trip Advisor restaurants like Cuca is also just a few meters behind the hotel. 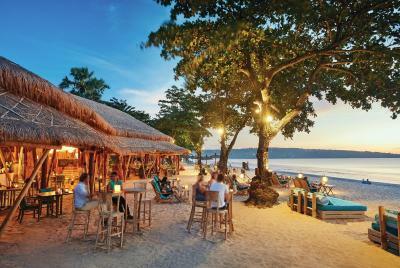 Sitting at the wide beach bar you can enjoy watching the sun set with a cold Bintang. Or overlooking the waves enjoying an amazing high-quality buffet breakfast in the morning. We thought they were very family-friendly, also with other super nice hotel guests and older children (our sun was 22 months old at the time). Our garden bungalow was pretty and large, as well as the pool. They even gave us a departing gift, small traditional deco figures, after they found out that we were celebrating our anniversary there. All in all, 5 star service and high class hotel. Gorgeous place with beautifully kept gardens and grounds. Rooms very spacious with everything you need. Great breakfast, staff extremely attentive and beautiful pool. Beach and sea are really nice too. We chose this small resort because of its placement and opening to the water - you can watch the ocean from their breakfast spot. Way smaller than the typical resorts, it’s more like a “boutique” which makes it more appropriate for couples, rather than families. 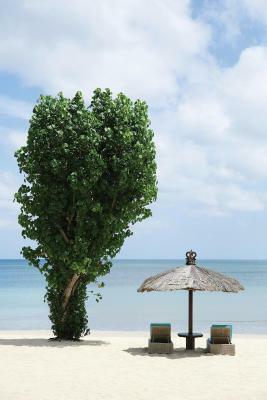 Their spa is amazing, positioned almost on the beach as well (try the ultimate spa journey with herbal bath, is heavenly!) Good restaurants as well, decent cocktails. This is what i define a resort. Comfortable, relaxing, luxury and simple in the same time. The staff care about you like a family member not jut a guest. The restaurent is five stars very delicious but pricy. I would definitely choose belmond next time. What a joyful, relaxing, everything- you -could -wish -for experience. 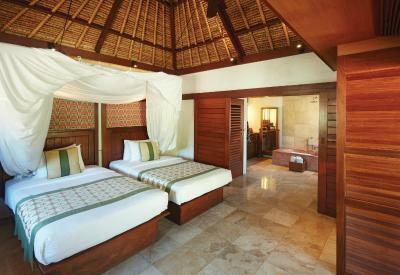 Amazing facilities, romantic and cozy, superb and helpful staff and fantastic food. It was ideal and just what we were looking for. The low key enviornment. Not a lot of children. Adults mostly. The service is amazing with being fawning and artificial. 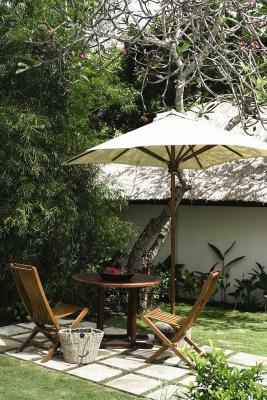 Jimbaran is the perfect location for a low key vacation. The staff was excellent and tried to make you feel welcomed and special and early on we felt being over-serviced in that we were approach especially when we were in the restaurant like almost every 5 minutes to check if everything was okay. Later during our stay, either they realised that we didn't need the attention of that it was getting too crowded as the weekend approached for that kind of attention to one set of guests. Otherwise everything else was excellent. Rooms/cottages were nice, clean, comfortable and private. Pool and beach was fantastic. Breakfast was great. The food here was excellent, and the service was outstanding, the staff were very friendly and could not have done enough for the guests. 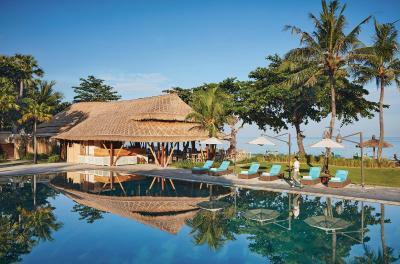 Belmond Jimbaran Puri This rating is a reflection of how the property compares to the industry standard when it comes to price, facilities and services available. It's based on a self-evaluation by the property. Use this rating to help choose your stay! 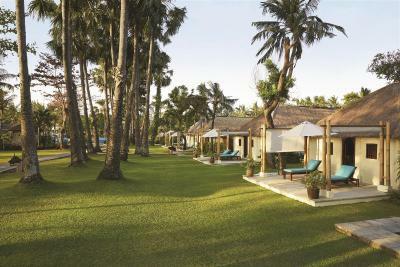 One of our top picks in Jimbaran.Set amid tropical gardens, Belmond Jimbaran Puri features spacious Balinese-style cottages and villas with walled terraces and indoor/outdoor bathrooms. 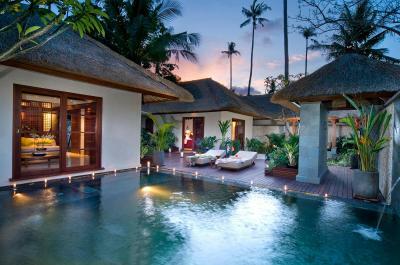 It has an outdoor pool, 3 dining options and a beach spa. 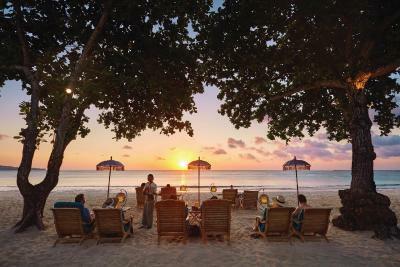 Located along Jimbaran Bay, Belmond Jimbaran Puri is a 15-minute drive from Kuta and Nusa Dua areas and a 10-minute drive from Ngurah Rai International Airport. 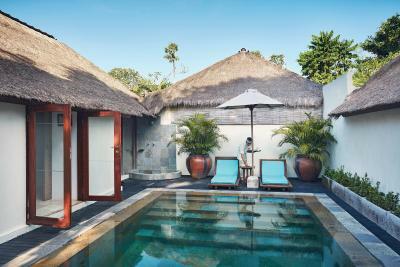 Fitted with thatched roofs, each stand-alone accommodations in Belmond-Jimbaran Puri Bali features a large marble or stone bathtub and double sinks. Modern comforts include a flat-screen TV and a DVD player. Some offer private pools. Open for lunch and dinner, Nelayan Restaurant serves seafood as well as French Mediterranean dishes, with beachside dining. Tunjung Café features an American buffet breakfast. In the evening, it offers Indonesian specialties. 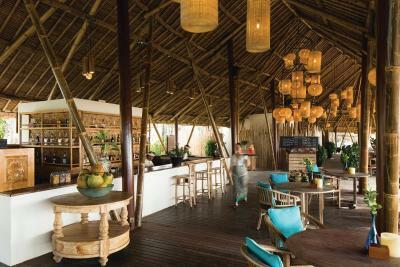 Light snacks and beverages are available at Puri Bar. 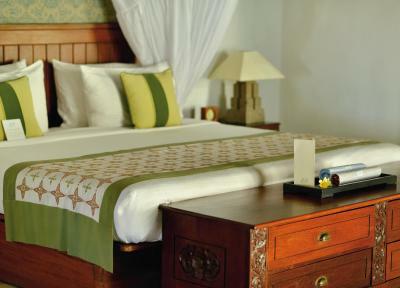 Belmond Jimbaran Puri provides transport rentals and room service. Along with free WiFi in its public areas, parking is free on its premises. 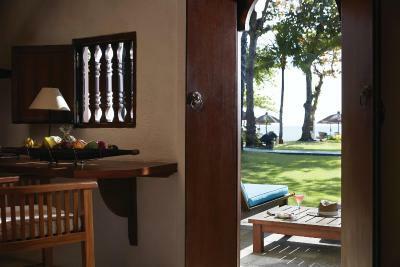 When would you like to stay at Belmond Jimbaran Puri? 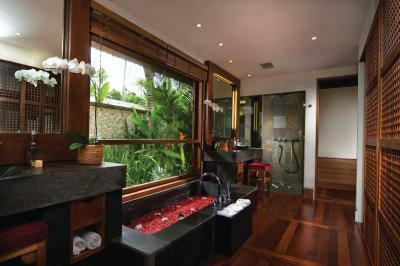 Rooms feature outdoor shower facilities with floor-to-ceiling windows and garden views. 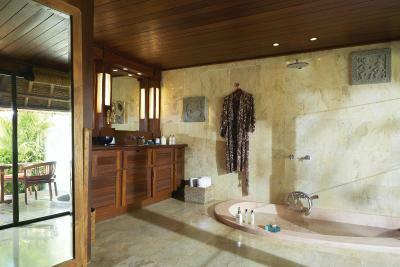 Indoor shower facilities include a rain shower and a large marble terrazzo bathtub and double sinks. 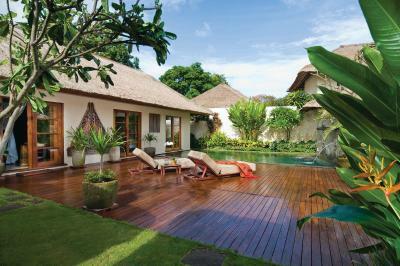 This spacious villa features a living room and a Balinese outdoor garden with private sunken swimming pool. 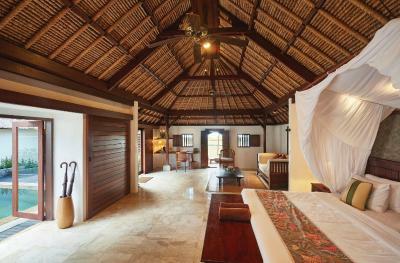 This villa features a private plunge pool and a tropical garden. Includes marble terrazzo bathtub and double sinks. This villa features a electric kettle, mini-bar and tile/marble floor. This double room has a sofa, flat-screen TV and bathrobe. This villa features a patio, DVD player and seating area. This villa has a private entrance, patio and DVD player. 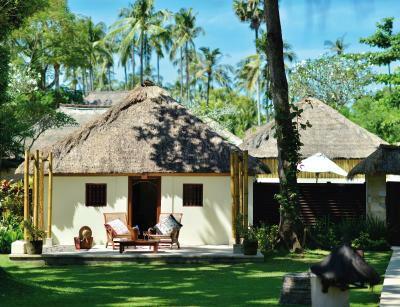 Traditional Balinese style architecture and lush gardens make the hotel the perfect place to rest and unwind. 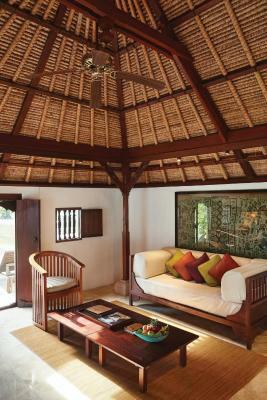 House Rules Belmond Jimbaran Puri takes special requests – add in the next step! 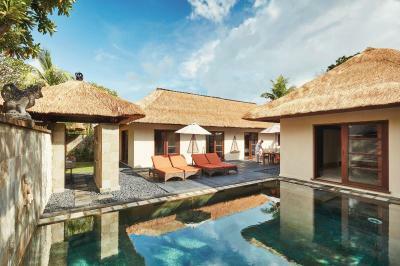 Belmond Jimbaran Puri accepts these cards and reserves the right to temporarily hold an amount prior to arrival. 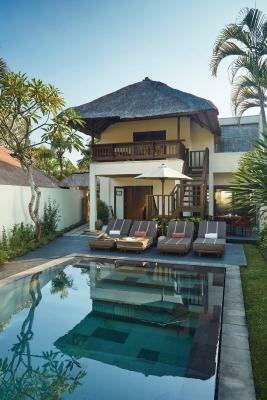 We stayed in the villas portion which had their own private concierge; however, we felt he was often unavailable and difficult to reach. Although a very great person the front desk staff was far easier to communicate with and available. The breakfast could be better. It was not much choice in the buffet, but the dishes by menu were good enough. Although I could only stay one night, I fully enjoyed the environment, atmosphere and hospitality. Just amazingly gorgeous and beautiful. I loved this hotel.. an awesome good surprise. The staff was amazing, always helpful and fulfilling all your requests promptly. The food from the beach restaurant and again the staff was simply superb! Will strongly recommend to all my friends and i will come back again. 1. There are a lot of bugs in the room...mosquitoes, crawling creatures, even a frog in the bath area 2. There is no shower curtain, easy to create a puddle in the bathroom 3. The beach is horribly dirty; plastic floating around. Can't blame the resort for this though perhaps. It is a sad state of Bali beaches in general 4. Resort could think of organizing a late evening beach bonfire or group activities for all the guests (something I have experienced at other resorts which come with high price tag). The staff was particularly great; very courteous and helpful. The room was spacious. View from resort is mind-blowing. 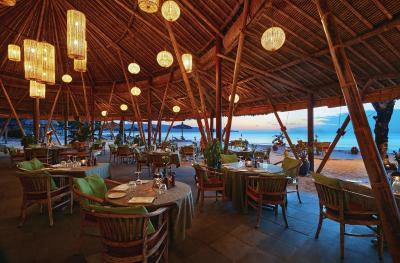 The resort restaurant and bar offer a one-of-a-kind luxurious experience with live music, great food, drinks and beach. They even accommodated our vegetarian request for breakfast every morning. Beach covered in plastic - not hotel’s fault. The hotel itself seemed a little run down. 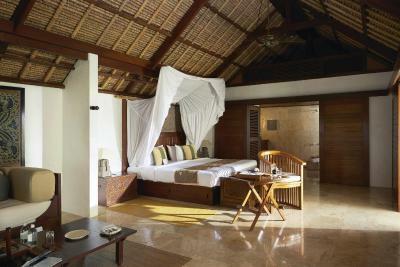 We stayed in a Deluxe 2 Bedroom Pool Villa which was very spacious and had a truly large private pool. 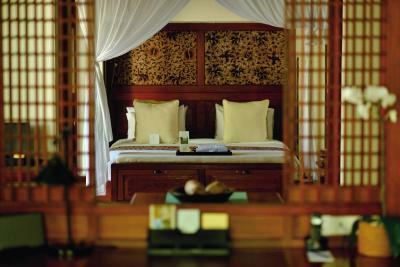 The 2 separate sleeping rooms had modern well equiped ensuit bathrooms and very comfortable beds. Everything was well mainted and clean. All the staff were extremly friendly and we enjoyed a wondefull new years eve party on the beach. 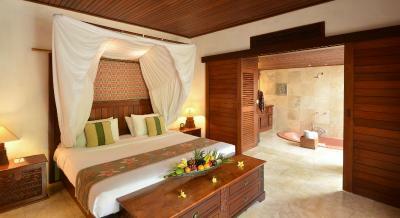 This was my 2nd time staying at the beautiful Belmond Jimbaran. As you enter the property you instantly feel at home and relaxed even after a very long flight. The staff are so attentive, happy and most have been there for many years which says a lot about the management. Would 100% recommend this hotel.